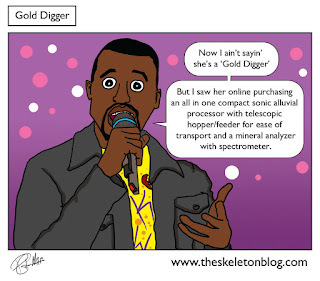 I think the joke with this particular song is that Kanye West is actually implying that said woman IS a gold digger. 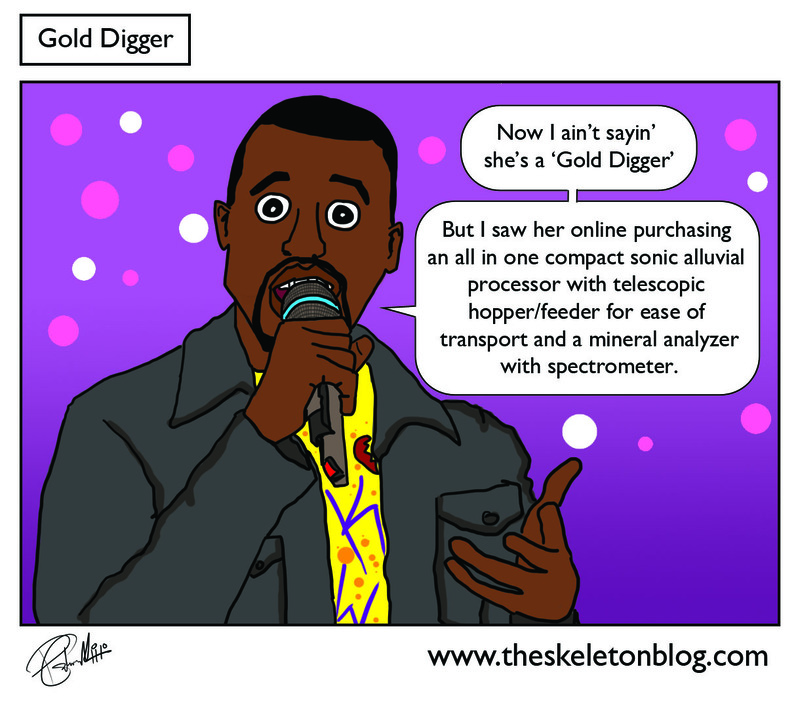 Kanye West (for the uninitiated) is a hilarious music making creature who has just had a baby with one or possibly all of the Kardashians. Hey also has a new album out called Yeezus which is a combination of the word Jesus and Yeezy (which is one of Kanye's nicknames that nobody uses but himself). I get the impression that he thinks if he uses it enough then it'll catch on. I got word for you Kanye no one ever called Prince 'Symbol'. I reckon he calls his wang Yeenis too.